The Arabian Nights – a 12th century fable and a 19th century state of mind. Veiled maidens with rubies in their belly buttons darting furtively through arched portals, camels kushed outside darkened houses heavy with the odor of strong tobacco burning in a hookah and cuisine based on God-knows-what cooking in an earthen kettle; threatening-looking men with bold moustaches, loose garments and heavy scimitars at their sides, and nary a sound to be heard other than music with some unsettling tone and meter in the background. A crescent moon – always a crescent, never full nor new – always overhead. A disdain for westerners. Safe haven for miscreants from all over the earth, akin to Butch and Sundance’s Hole in the Wall a thousand years later. A foreboding night in a foreboding town. Baghdad. 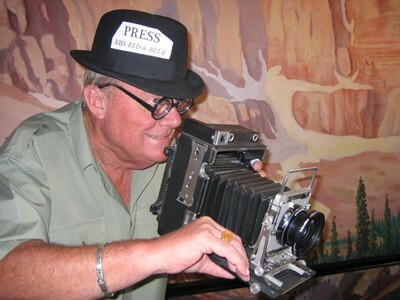 Or, seen in many early western publications as Bagdad. It caught the world’s eye in the 1920s when it became capital of Iraq. Boundaries of faraway nations meant little to us – it was all the land of Arabia to the music lyricists, fashion designers and Hollywood writers, all capitalizing on its mystique. Few seasoned moviegoers can forget the sepia-toned scene, in Cinerama yet, when a tiny speck on the barren windswept desert appeared through a distant mirage, then inexorably, slowly, grew larger and closer to the viewer until the skirted horse and a turbaned Omar Sharif, his tattered burnoose streaming in the wind, dismounted to deliver news to (Capt. T. E.) Lawrence of Arabia. Many regard it as director David Lean’s most memorable scene, ever. 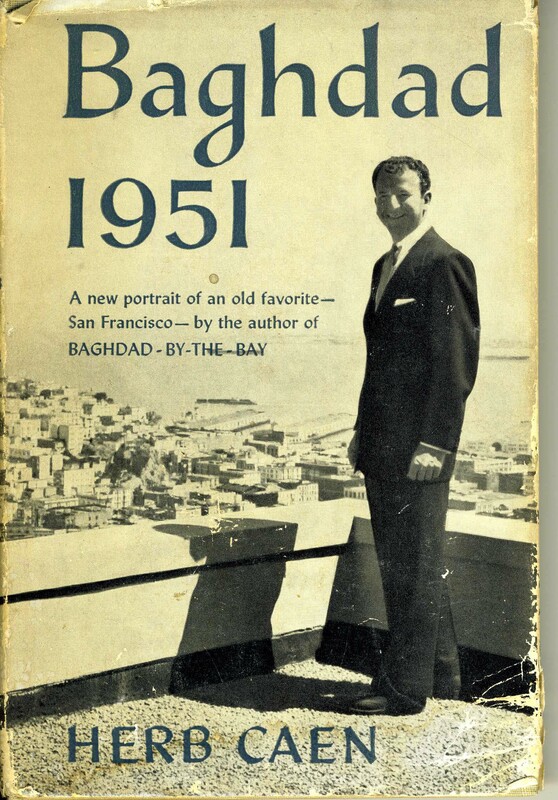 But why did San Francisco Chronicle and Examiner columnist Herb Caen nickname San Francisco, and later subtitle his column, Baghdad-by-the-Bay? Baghdad and San Francisco are little alike; San Francisco built on seven hills, only forty square miles with water on three sides, but Baghdad basically level and spread out 20 times larger, its only waterfront the Tigris River; San Francisco, in a word, of breathtaking beauty while Baghdad, well, by Caen’s assessment, less so – the sparkling white minarets exist mostly in travel brochures. Not an unattractive city, but no San Francisco. Why was it called Baghdad-by-the-Bay by a scribe who set Bay Area trends for seven decades, until his death in February of 1997?